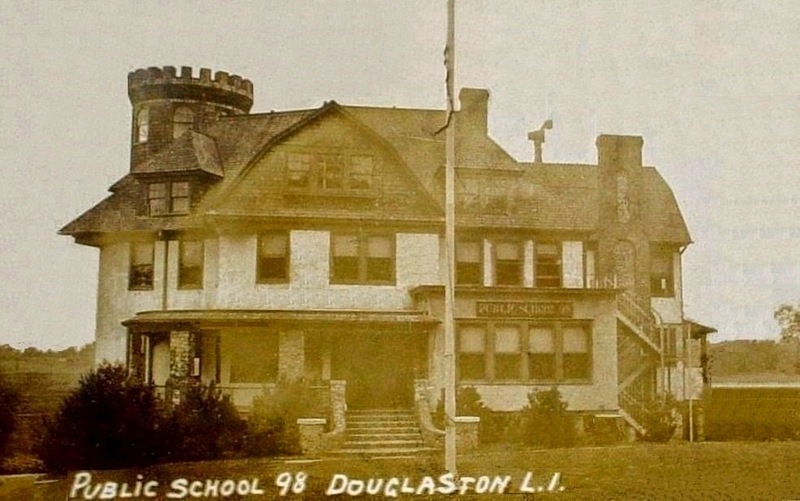 The Clinton Van Vliet residence built c. 1899 in Douglaston pictured after the transformation of the residence into the local schoolhouse. For reasons I assume had to do with the fire code, children who attended class on the second floor were required to use the exterior staircase seen to the right. The house was demolished in 1930 for a new, modern P.S. 98. Click HERE for more on the Van Vliet residence and HERE to see the school on google street view. The Van Vliet family was still living in the Manhasset/ Great Neck vicinity at least until the 1970's..maybe still in the area.